The resorts are a hindrance to the animal movement which causes conflicts. Resort owners in and around Tadoba-Andhari Tiger Reserve (TATR) have been instructed to remove fencing around their properties in the span of next three months. The directives were issued by the state government who also asked the owners to follow green practices. Praveen Pardeshi, the additional chief secretary and guardian secretary of Chandrapur, issued the directives on January 20 at a stakeholders’ meeting at Agarzari. Other issues such as ecotourism in buffer zone, problems related to entry of tourists, relocation of three villages in TATR, tackling man-animal conflict, etc. were also discussed. 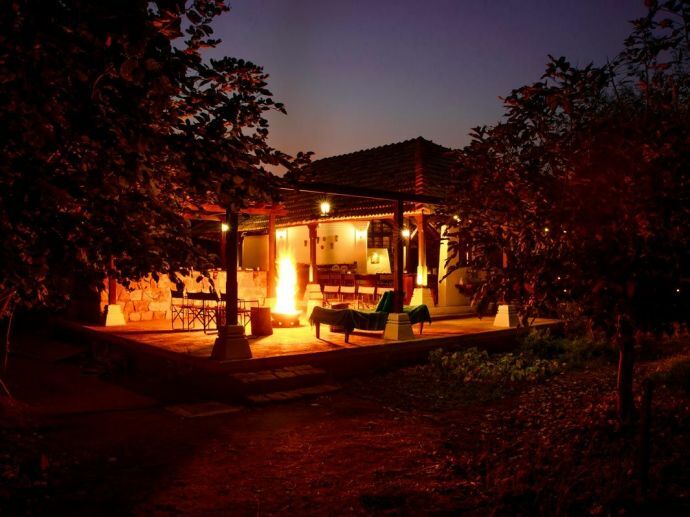 Numerous resorts have mushroomed on the western side of the park near Mohurli and in the buffer zone near Kolara on the northeastern side of the park. The resorts are a threat to animal movement which causes conflict. The new construction breach the urban development department (UDD) guidelines which states that fencing for only 10% of the total land area should be done around the built-up structures. The fencing should be done in the form of chain link and not masonry walls in order to keep the animal movement free. The fencing has been a major hindrance near Tadoba, according Praveen. “The resort owners should not bring a situation like Assam where a public refinery was asked by the Supreme Court last week to demolish its wall which blocked elephant movement between Kaziranga-Deopahar,” he said. The apex court had ruled that elephants have the primary right on the forest. “The resort owners have promised to remove the fencing in three months. The UDD notification already states if compliances are not done, the authority concerned has to issue a notice to the resort owner for corrective action in 15 days failing which the authorities can take a decision to shut down the said resort,” said Praveen. The resort owners have for long violated in terms of lack of effective system of garbage collection, segregation, bio-digesters, composting and reuse, minimum outdoor lighting, use of renewable and conventional energy sources like biogas, solar among host of other eco-friendly measures, etc. However, no action has been taken in the span of the last 16 months against any of the resort owners. Praveen further added that according to the UDD guidelines, a resort rating system will be instituted sooner than later. The committee under community nature conservancy (CNC) will rate the resorts on the basis of the latter’s compliance with the eco-friendly guidelines. “This rating would help attract tourists to the resorts taking to best practices. Besides, action will be taken against flourishing illegal homestays,” said Praveen.